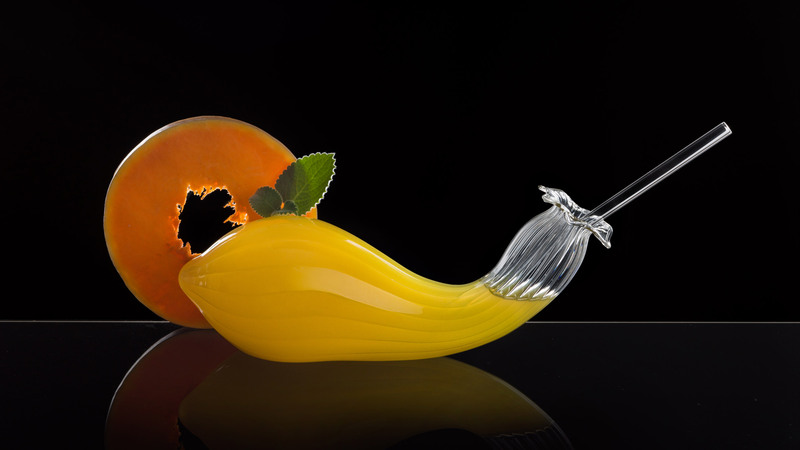 Martin Jackobsen creates glassware for "open-minded bartenders"
Martin Jakobsen has created a range of glassware for bartenders in search of unique props, including a drinking glass shaped like a pumpkin and a vessel designed for smoking cocktails. Czech designer Jackobsen designed and made the two pieces in his studio, and intends them to be used by "open-minded bartenders seeking something special". The first, named CuCu, is a drinking glass inspired by the slumped shape of a summer squash in a vegetable patch. 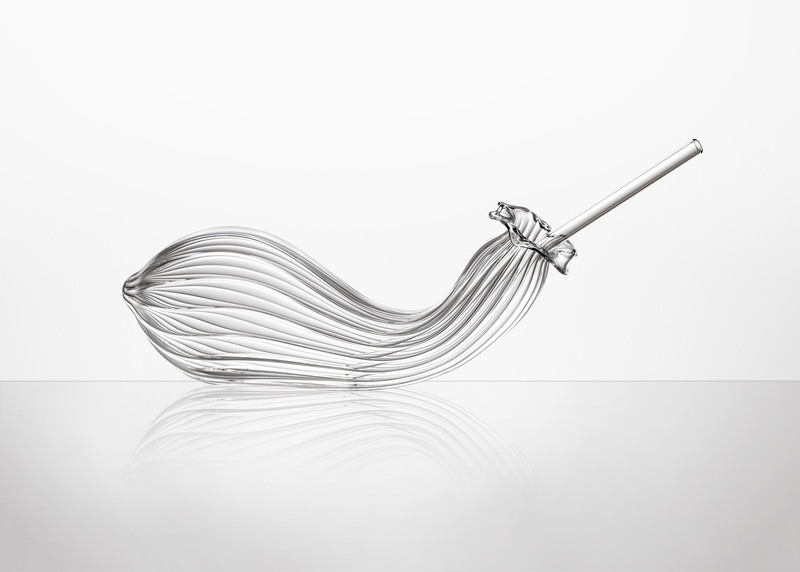 A drinking straw is inserted through the glass top, which curves gently upwards. Jakobsen describes the CuCu glass as an "experiment in glass technology", basing the design on finding new ways to style food. As each glass is handmade, each one looks slightly different. CuCu is joined by Duplex – a glass designed specifically for cocktails that use dry ice, which Jakobsen notes are a current trend in the drinks industry. 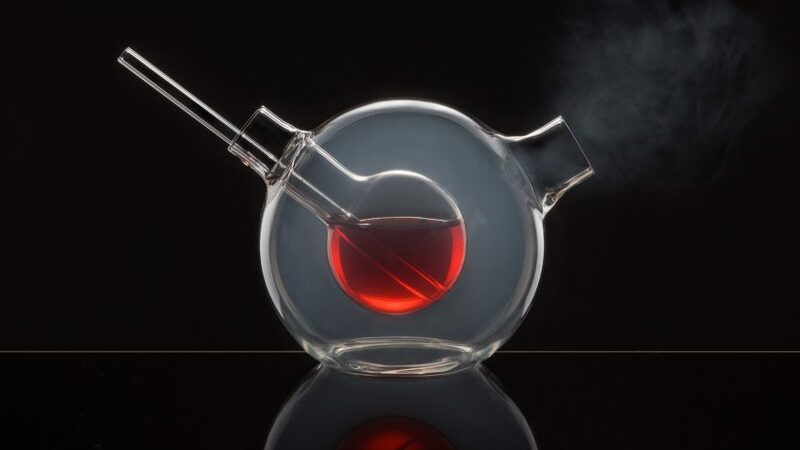 Resembling a set of two round laboratory flasks, the Duplex features an inner drinking glass suspended within a larger outer a glass that can be used for dry ice. Each glass has its own opening – one for liquid and one for smoke. "A few years ago I came up with the idea of unconventional glassware for bars, hotel, restaurants, I work primarily with the spherical shape and its variations," the designer told Dezeen. CuCu and Duplex are the latest in a line of unconventional glassware created by Jakobsen, including a storage jar with a giant ball of cork as a stopper and a glowing uranium-glass tumbler. 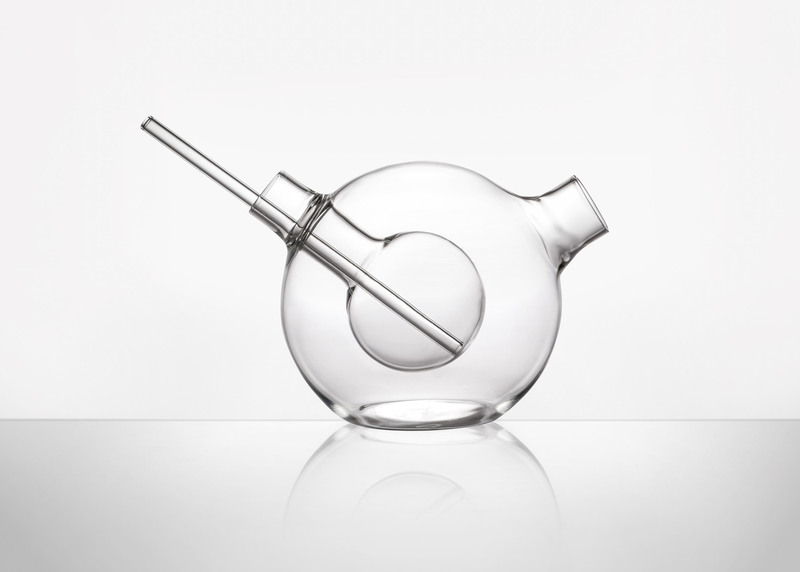 The designer also created a spherical alternative to the cocktail glass, which uses an oversized silicone stopper to keep liquids and flavours contained..
Other quirky takes on cocktail glasses and barware include a minimal cocktail set by ÉCAL graduate Emilien Jaury that is based on traditional glassblowing techniques, and a range of laboratory-style glassware by Tom Dixon designed to make the process of preparing hot drinks look like alchemy. Photography is by Anna Pleslova.